I’m really serious about breakfast. Seriously, I won’t be able to survive the day if I don’t shovel at least a couple eggs in my mouth. This could be because I’ve been patterned to eat a hearty breakfast every morning, but it could also be because breakfast is the most important meal of the day. I’m sure you’ve been told this tons of times. I hate to break it to you, but it’s true. Just because eating breakfast is totally necessary doesn’t mean it’s easy to do. It’s hard enough just making sure you’ve eradicated your bed head before heading out the door. 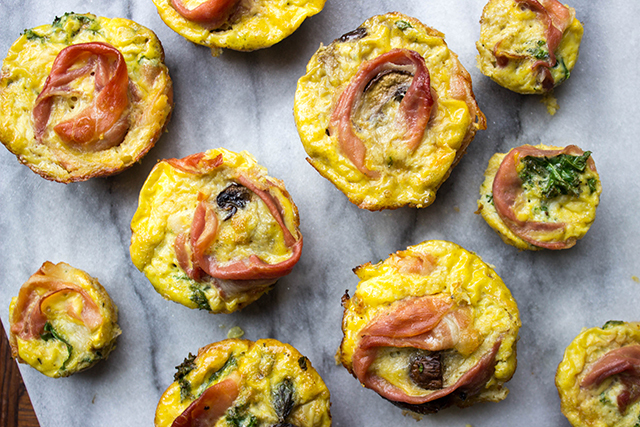 Here’s where these egg muffins come in. These babies are seriously so easy to make. 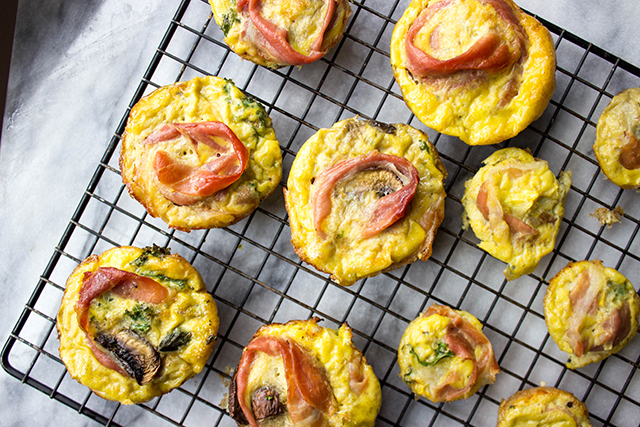 I get it, time is of the essence, but these will take you 30 minutes to make – maximum. You’re probably wondering who the heck has 30 minutes every morning to devote to breakfast? But the key here is that you can prepare these ahead of time and then throw them in the freezer. All you’ll have to do when you’re ready to eat one is pop it in the microwave for a minute and you’re good to go. The last thing about these that I really love is that they’re super customizable. You can put pretty much whatever veggies and meat in here you’d like. Go on, get wild with it! You’ll never go hungry in the morning again. Recipe originally posted on NOBREAD.com. *or whatever veggies and/or meat you’d like! Preheat your oven 350 degrees Fahrenheit. 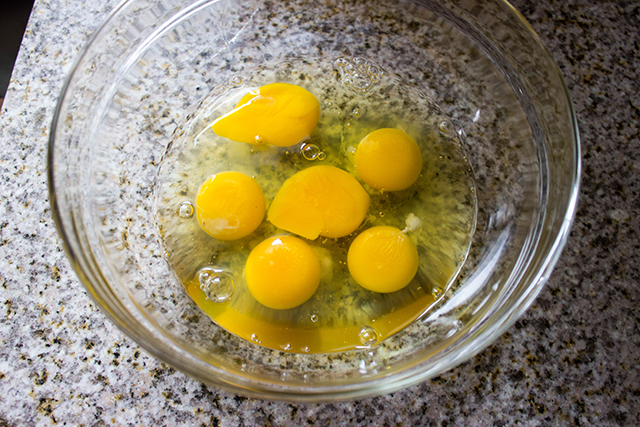 Crack all of your eggs into a large bowl. Add milk, salt and pepper, and cayenne pepper and mix. 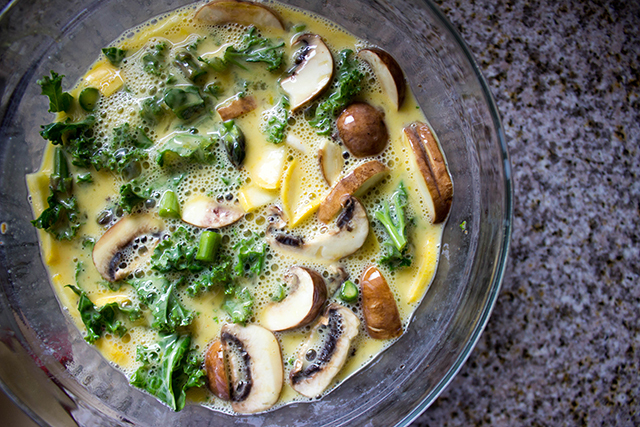 Add your veggies of choice, and stir to combine. Grease your muffin tin with oil (I used avocado), or line with cupcake liners. Spoon some egg mixture into each tin until it is about 2/3 of the way full. 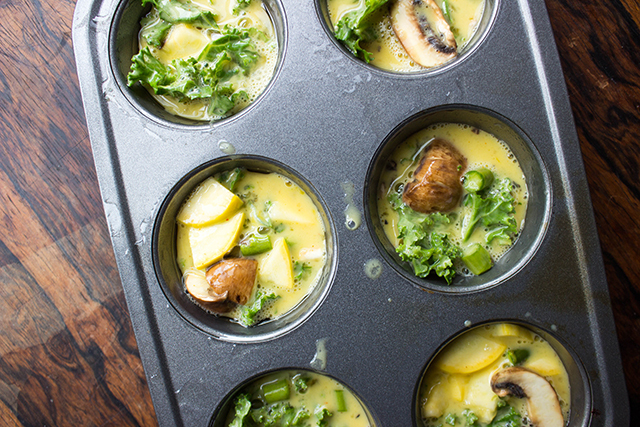 These will rise in the oven, so be sure to leave some room! 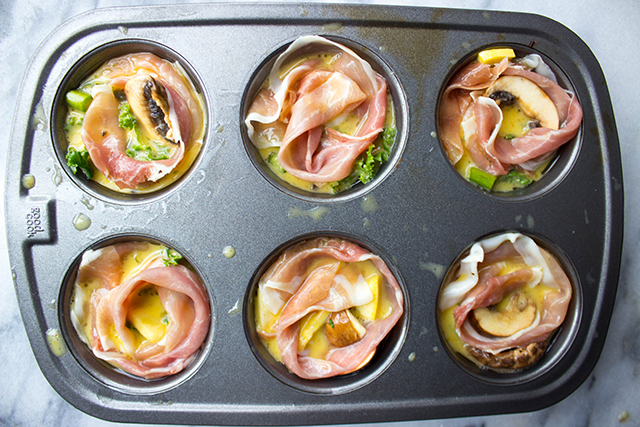 Take your prosciutto, and place it in the egg mixture in each muffin tin in a spiral formation. 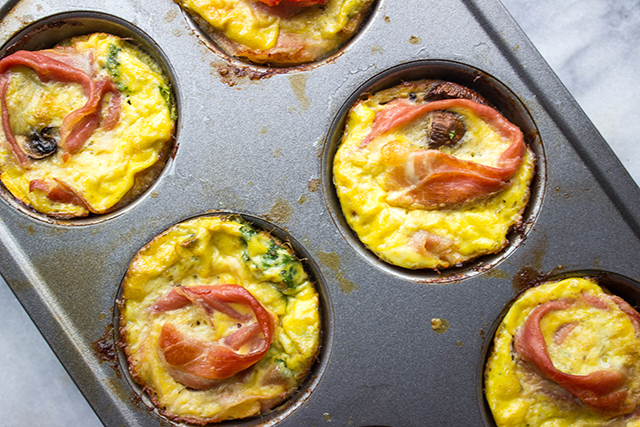 Place muffins in oven for 25-30 minutes, or until the eggs are cooked through. Take tin out of the oven and let sit for 1-2 minutes. Remove muffins to a cooling rack to the point where they’re not too hot to eat. Once the muffins are cooled to your liking, enjoy! Feel free to store the leftovers (or the upcoming week’s breakfast) in a Ziploc in the freezer. 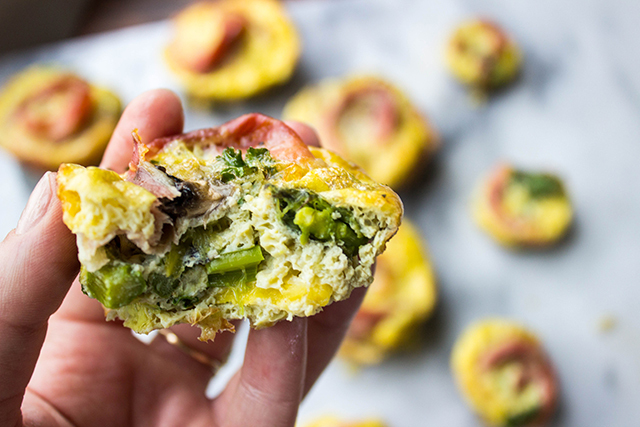 I’ve seen a hundred recipes for egg muffins, I really need to take the time and make some.